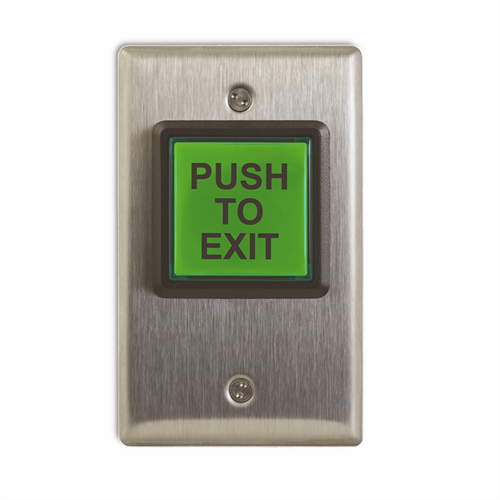 CM-30E Camden Green Illuminated REX Button "Push to Exit"
The Camden CM-30E is an incandescent green illuminated REX Button with ‘Push to Exit’ written on it. 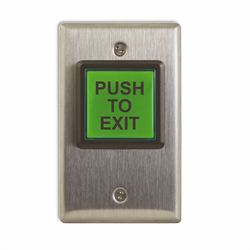 It is a momentary switch that can be used to control a variety of electric locks, electromagnetic locks, electric strikes and low energy door operators. It comes with a single gang stainless steel faceplate and is designed to be placed in a deep style single gang electrical box.